In 2011, the PDC World Championship for youth players appears on the calendar for the first time. The best players from the Youth/Development tour can participate in this, plus a number of qualifiers from the rest of the world. Most years, the age limit is 23 years, though it has been different. The tournament is played on the floor until the final. The final is played on a big stage. The first year that was at the World Championship in Alexandra Palace, then a few years during the Premier League finals and the last few years at the Players Championship Finals in Minehead. 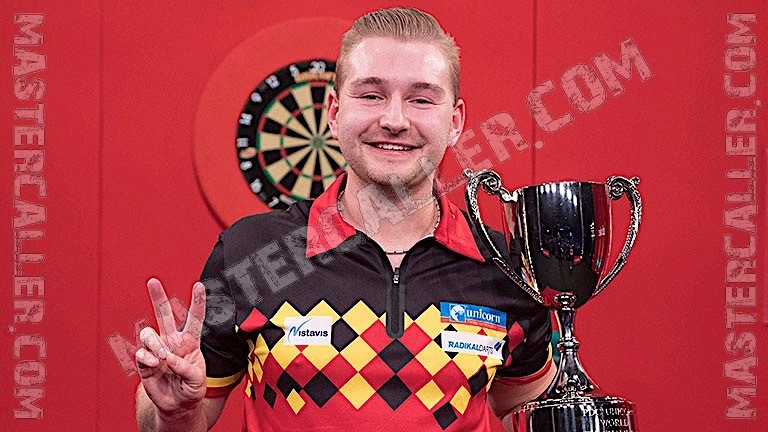 An Englishman won the first four editions, but the last four editions went to a German, Max Hopp, an Australian, Corey Cadby and a Belgian player, Dimitri van den Bergh. Van den Bergh retains his title and becomes the first player who wins the World Youth Championship twice.